We really can’t say enough good things about Crazy Horse 3. They have amazing girls, but what really sets this club apart is the staff. Sure all the waitresses and bartenders are gorgeous. But more importantly, everyone smiles and wants to ensure everyone has a great experience. 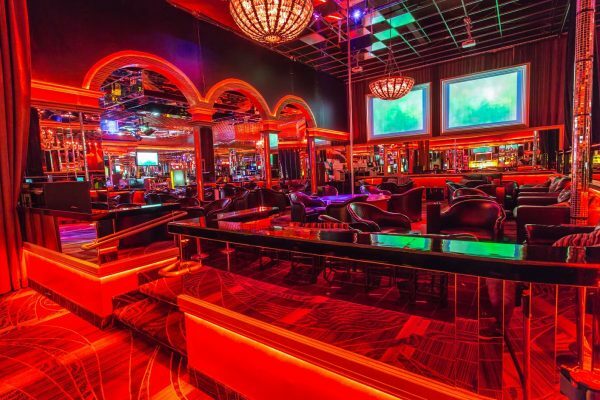 Crazy Horse 3 often hosts celebrity birthday parites, suprise guest DJs, and you often rub elbows with other famous people including athletes and musicians. If you want to visit a club with a fun, energetic vibe, this is your spot. Another great aspect of CH3 is the location. 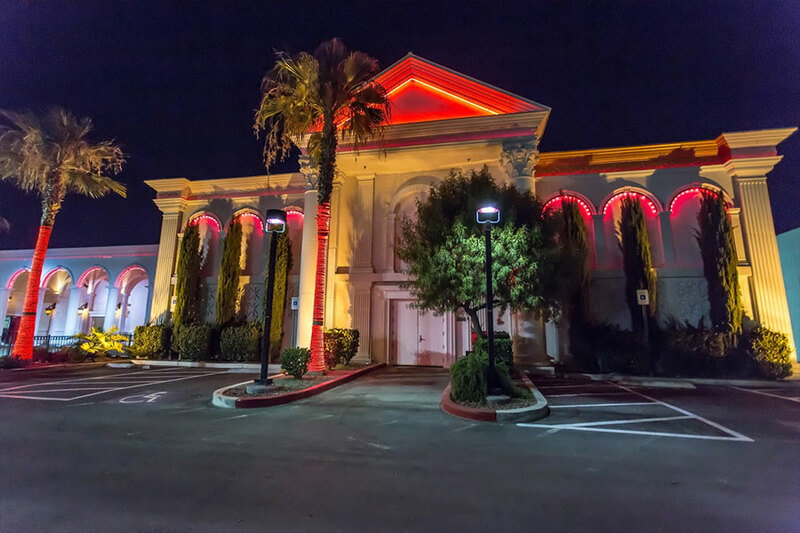 Convenient access right from the I-15 means you can get from your strip hotel to the party in just minutes, even if the strip is backed up. Not to mention the Raiders stadium is literally right across the way, this will definitely be the tailgate and after game hot spot for adult entertainment. 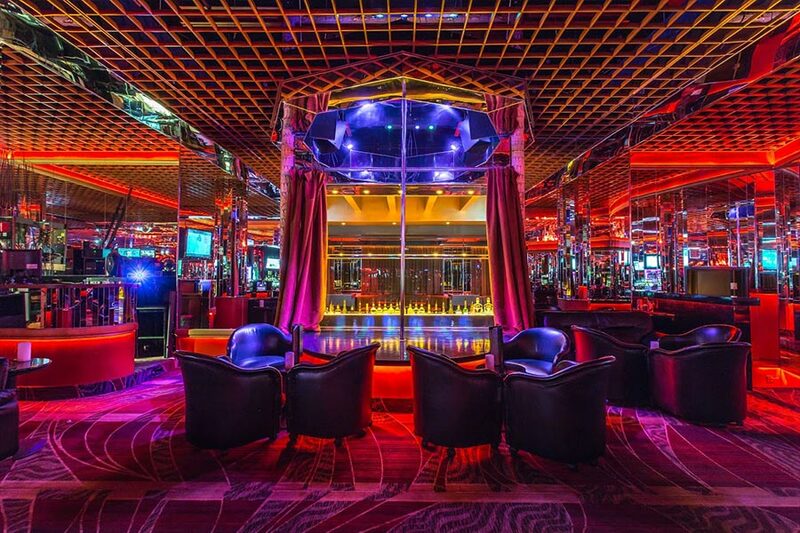 If you’re in Las Vegas, definitely stop by for a drink or a dance. 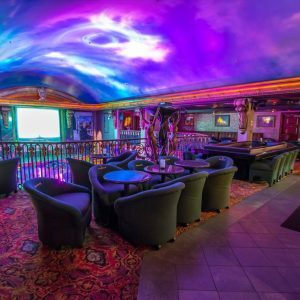 Your stop at Crazy Horse 3 may very well be the high point of your trip! For more information, please check out our full review of Crazy Horse 3. 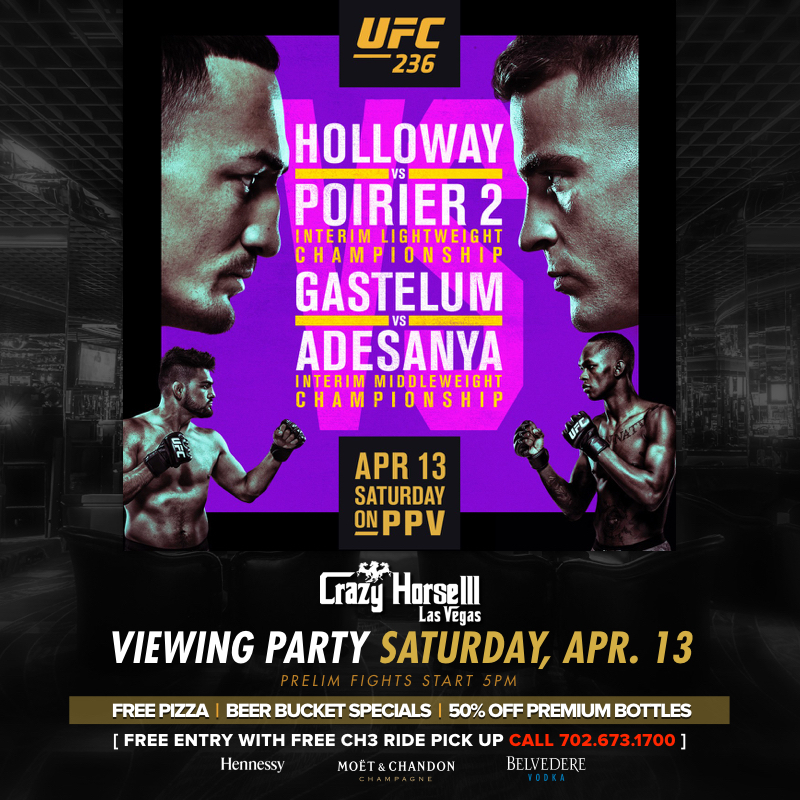 Come watch UFC 236 on over 75 HD Screens at Crazy Horse 3 in Las Vegas. 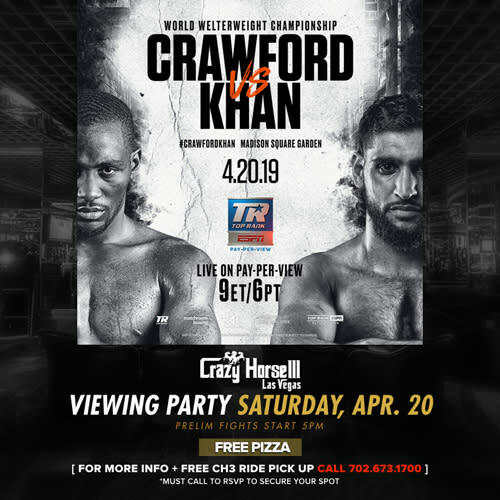 Free pizza, beer bucket specials and 50% off premium bottles. Prelim fights start at 5pm. It’s much more fun watching the fights surrounded by the hottest girls in Las Vegas.